Any time I take a trip down south of Snyder, I find it hard not to hit the amazing couple of blocks on Ritner just west of Broad. Here's where you can get a slice of pizzaz, a top-notch Italian hoagie, a ham pie and a dozen cannoli's - just to name a few, all at 4-6 neighboring old-school establishments. 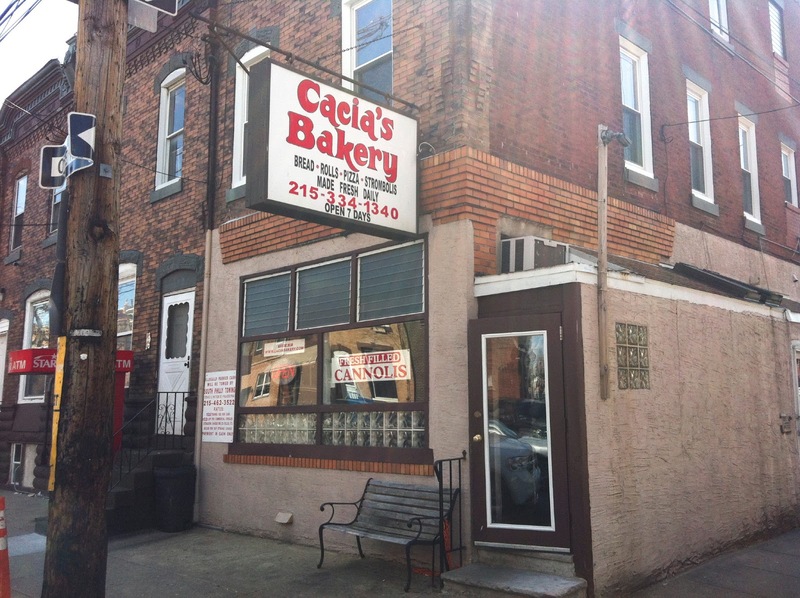 Two of my absolute faves: Cacia's and Primo's. I'm no stranger to Cacia's, it's like visiting your grandmother, if your grandmother lived in a bakery. They're beyond friendly and never turn down a special request - like baking a 6 foot long roll for your 6 foot hoagie party, or making a big frisbee loaf for muffaletta because the Saints are in the Super Bowl. But I digress. 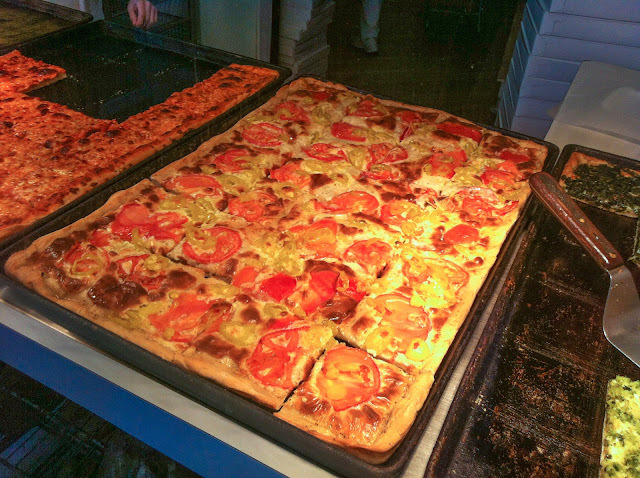 There's no special order this time, just getting down and dirty with some pizzaz. 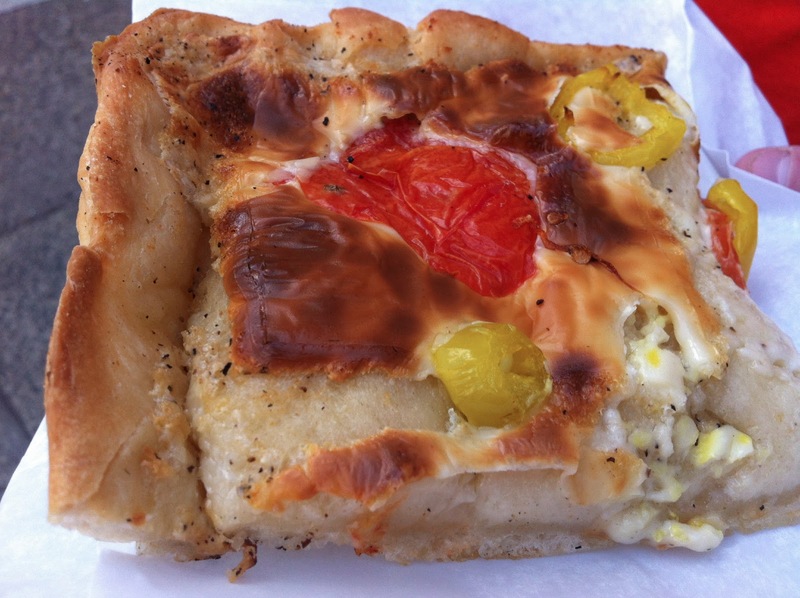 Cacia's is the authority on pizzaz pie, with its creamy American cheese bubbled and browned to perfection every time. You can buy a slice for $1.30 or cater your next party with a whole pie for $11.50 - just make sure to invite me. The pickled banana peppers add a warming tang that lends a sort of (out-of-a-jar) brightness to each bite. The fresh tomatoes give it a smack of juiciness to make up for the omission of sauce. Look at this buttery crust. Incredible. 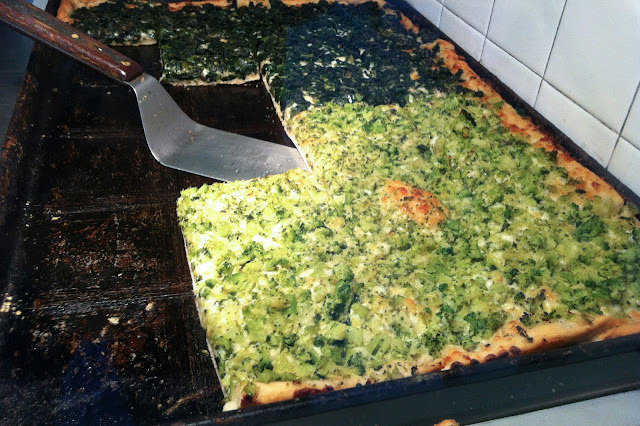 Something about the green on the broccoli pie called to me. It was probably the fact that I hadn't eaten vegetables in nearly 3 days. The chopped bits of blanched broccoli definitely filled my need for vitamins & minerals. Another slice of crispy, chewy, buttery crust was the perfect vessel to deliver the firm bits of green. Who knew eating healthy could be so delicious? 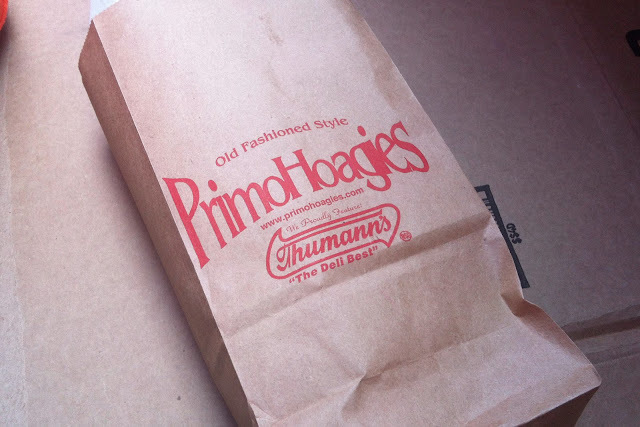 As if the visit to Cacia's wasn't enough, an order from Primo Hoagies seemed like it would fulfill (almost) all of my Saturday morning, pre-Flyer's game needs. 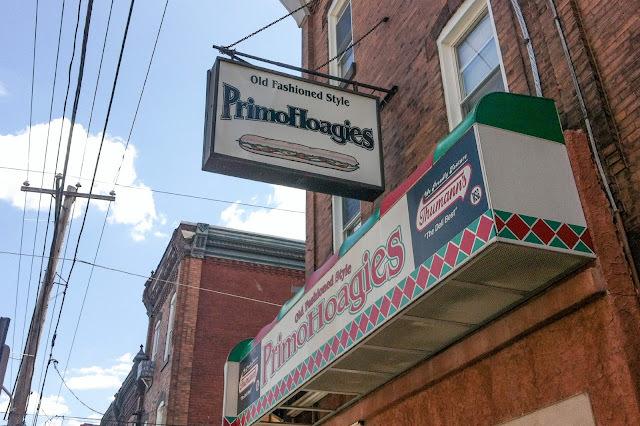 Primo is an eastern PA-NJ franchise that just recently broke out in the FL market (thank you spring training), but this one here on Ritner, it's the O.G. 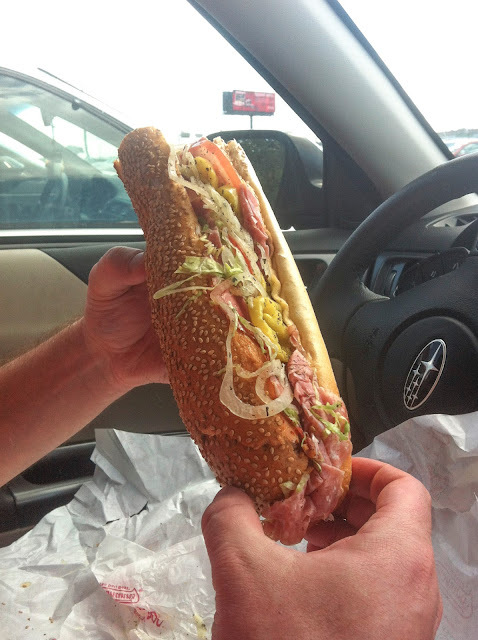 They use rolls baked specially by my favorite regional bakery, Liscio's in South Jersey, and their quality is unmatched. I read that each seeded roll is baked "using a technique that is optimal for transport... 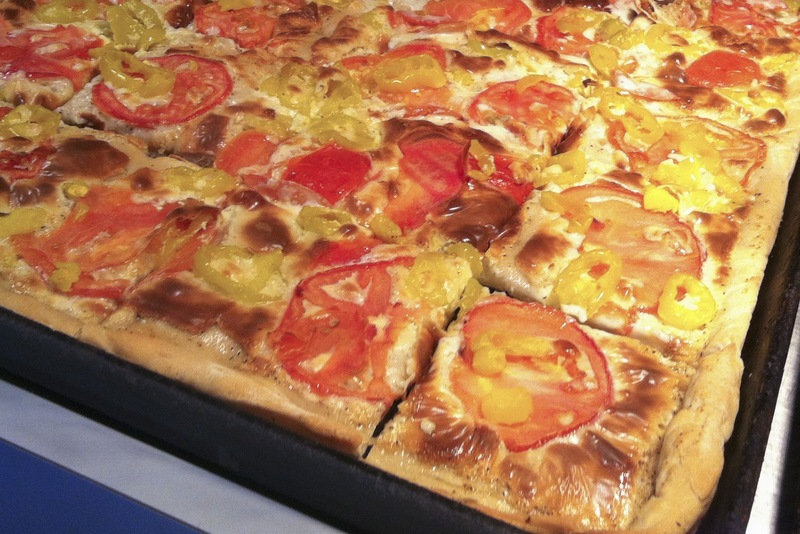 It gets baked seven-eighths of the way, and then we flash-freeze it. 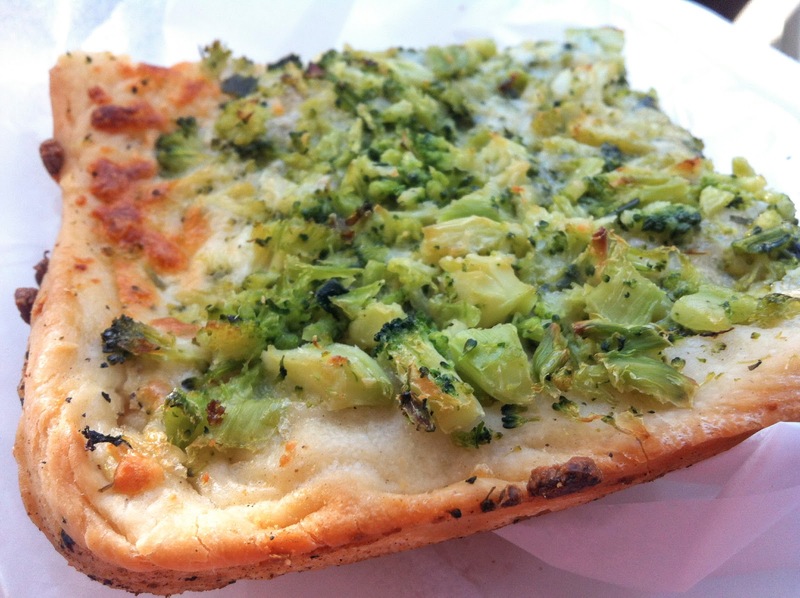 Each franchise has a small convection oven and when it comes out, it's like it's fresh right out of a bakery oven." And I'm okay with that, because I can attest to that truth. The crusty roll is by far the best part of these hoagies, but the fresh-slicing of Thumann's deli meats doesn't hurt either. 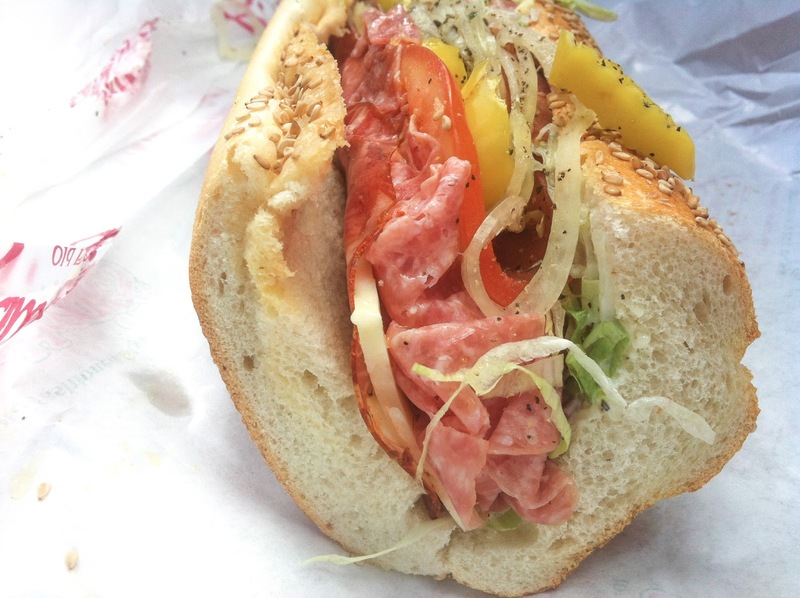 This is the Sicilian with dry cured capacola, sharp prov & natural casing genoa salami. 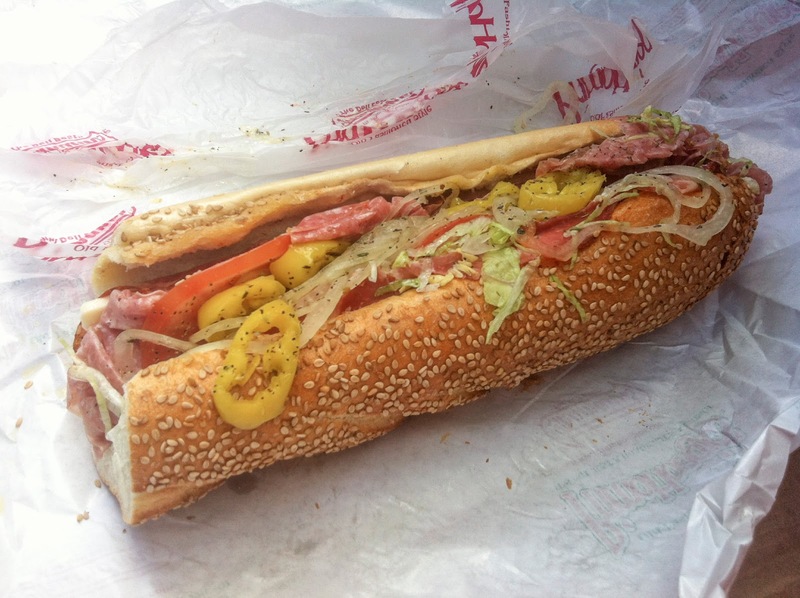 A sure bet to satisfy any hoagie-driven hunger. 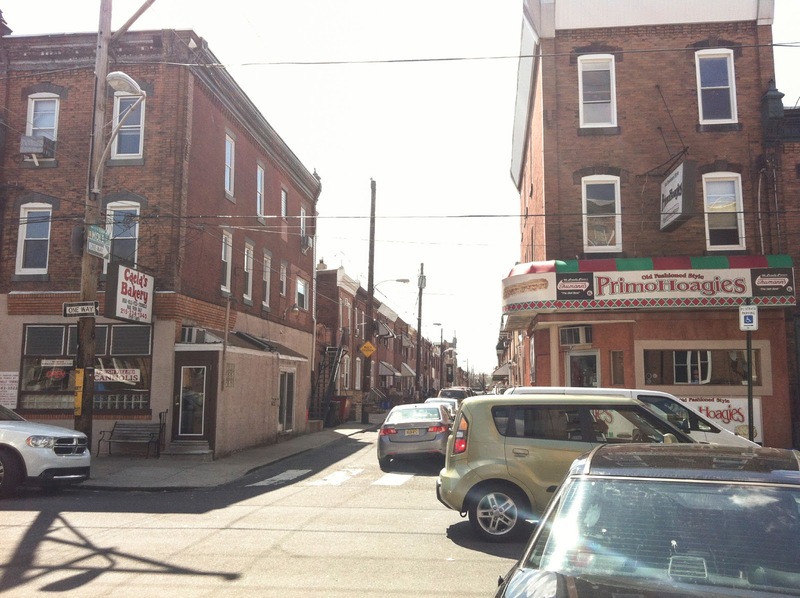 So, in conclusion, head to 15th & Ritner with an open mind, an empty stomach, and about $20. You'll leave wishing you lived right around the corner and that eating like a king didn't require so much exercise.